About "A Jobbing forge as Mura"
The place where people gather is just "Mura". Mura does not mean a small town against large city but means place where people and information gather in crowds. We think our home page will become "Mura-no-Kajiya" where people and information get together. Originally, Mura was the place where people gather. Jobbing forge played central role and placed center of Mura. 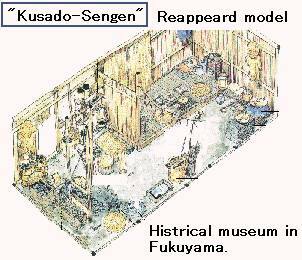 For instance, there were jobbing forges in the center of relics of the Ku-sa-to-Sen-gen which was a market place in the Middle Ages, and in the center of places in which Vikings had emigrated too. Bosses of jobbing forges do not only to manage workers to make products but also to collect information about industries and military preparations and to serve customers by them.